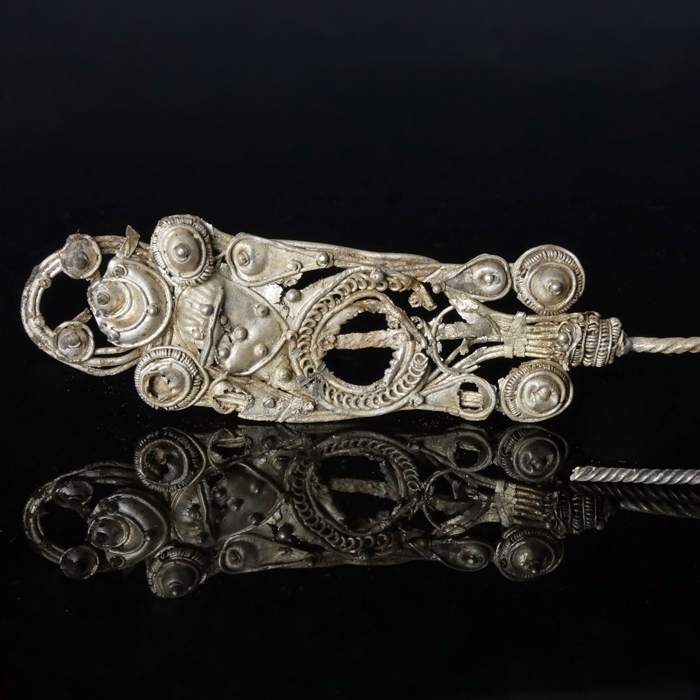 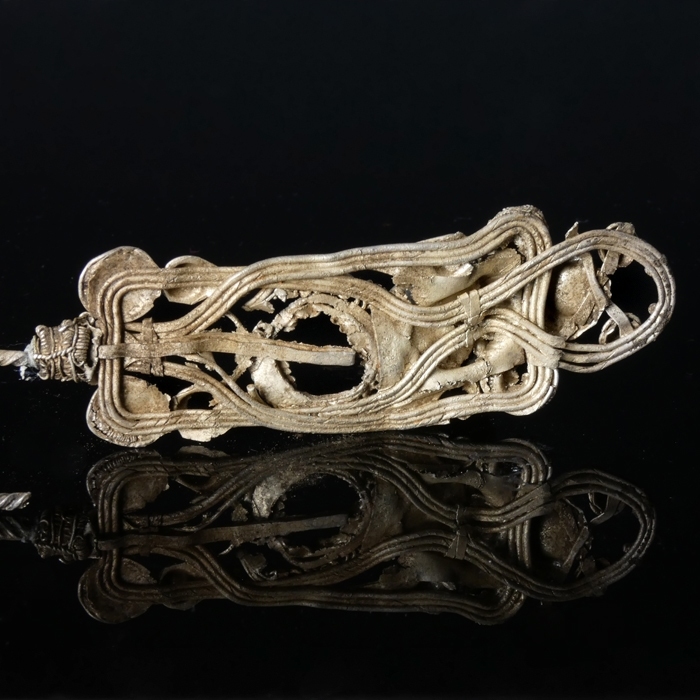 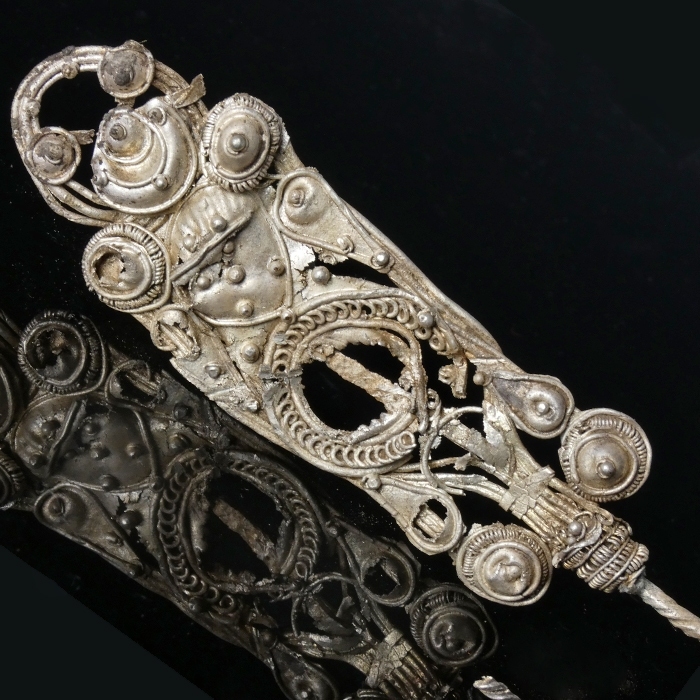 Silver openwork hairpin with elaborate decorations from the eastern Celts (Pannonia). 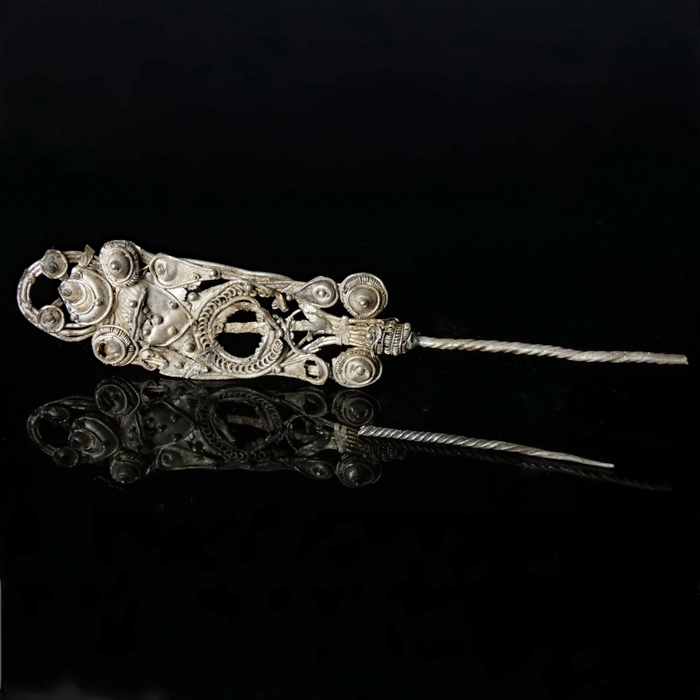 With finely detailed decorations, granule-in-collar motifs, filigree ropework and bosses. 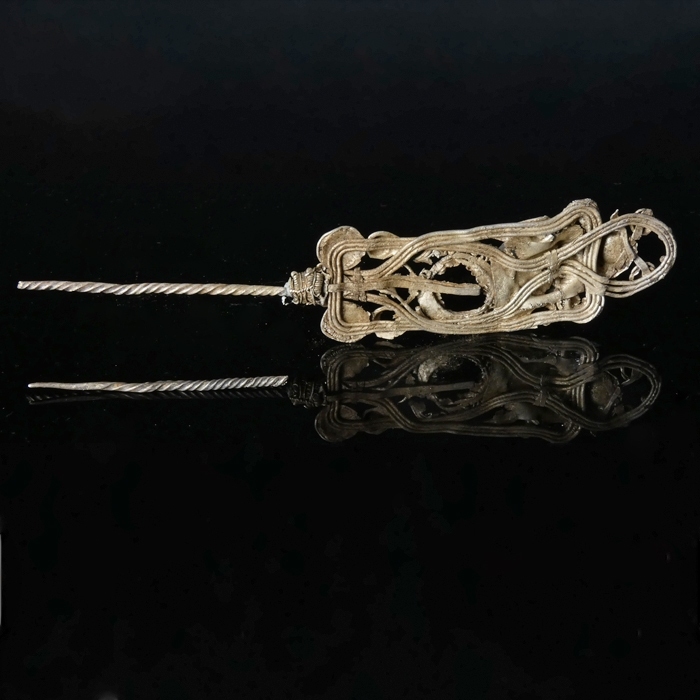 The tapering silver twisted wire pin is in two pieces, in some parts loss to the silver on the head of the pin.